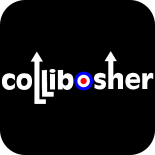 Collibosher had a great weekend, playing gigs on 2nd and 4th June. On Saturday, we played at The Victoria in Witham, a pub with a Scooter and Motor Bike club. Unfortunately the layout of the place was a bit awkward, we were trapped in a corner, and it was not possible to get decent footage of us, though we do intend to share some of the audio tracks. We also couldn’t hear ourselves, and it was hard to see the audience – but we’re told we sounded OK once the sound was balanced up. On Monday, Dave’s birthday by the way, we played in Harlow, in the open air. It was our first experience together or that sort of stage, and the great thing was, that as soon as we set up our amps, someone with a console off stage did the sound balancing for us. Of course, that’s no guarantee that my old DV camcorder will pick up the sound, especially the bass that seems to confuse it badly, or that the people I’ve entrusted it to, will just leave it running, rather than try to save tape between songs and miss the beginnings! Still, the video footage is great fun. I don’t seem to be able to embed a playlist here, so please use this link to watch all the concert. Or if you prefer, you can see the individual videos. This entry was posted on 30 October 2012 by davespagnol.